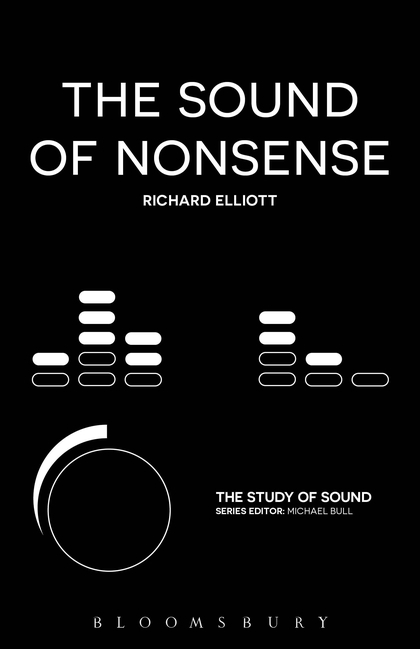 The Sound of Nonsense (Bloomsbury Academic, 2018): available 28 December 2017. ‘Watch the sense and the sounds will take care of themselves’; so says the Duchess in Alice’s Adventures in Wonderland. But can we be so sure of this? The Duchess, like her creator Lewis Carroll, often seems to put more emphasis on the sound of words than their sense, a technique that can also be detected in other written texts and in works of sound and music. The Sound of Nonsense highlights the importance of sound in understanding the ‘nonsense’ of writers such as Carroll, Edward Lear, James Joyce and Mervyn Peake, before connecting this noisy writing to works which engage more directly with sound, including sound poetry, experimental music and pop. By emphasising sonic factors, new connections are made between a wide range of artistic examples and a case is built for the importance of sound in creating, maintaining and disrupting meaning.